Our lobby bar offers alcoholic and non-alcoholic mixed drinks, cakes, appetisers and a unique coffee and tea selection. Very comfortable bed, ideal for a good sleep. Nice breakfast. Polite and helpful staff. Very positive overall impression. Lovely hotel, helpful staff and great breakfast! Quick check in. Very clean room. Great variety of food at breakfast. Friendly, helpful staff. Good hotel, nice room with minibar and wi-fi. The bar and restaurant very good. Central location, metro, bus and trams outside the door. Streetside rooms very noisy, heavy traffic outside. We stayed for 7 nights in early April and loved the hotel. The rooms were very big and there was an excellent selection of food at breakfast. The only negative thing I would say is that the room was a bit too warm even though we left the air con on all the time. The staff were lovely and very friendly and helpful. 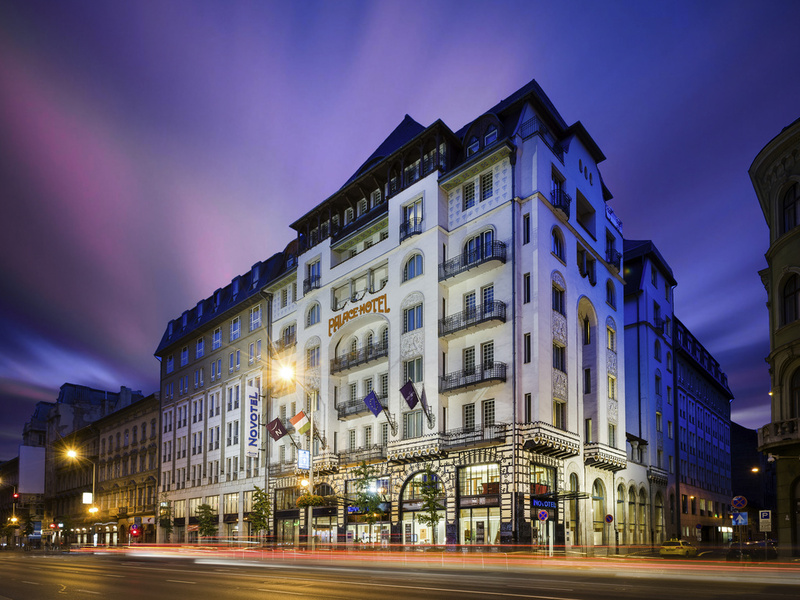 The hotel is in a good location and you can reach the metro or trams in about 2 mins walk. Overall stay is perfect, but I have been a bit disapointed by the restaurant proposal. Very good, room and food. Very impressed with our room and the quality of the hotel and facilities. Third time at the Novotel Centrum and never disappointed. Love the room (125), the location, the breakfast and the service. Will always stay here when in Budapest. Pro: Good location and breakfast. Cons: Overpriced, strong vibrations due to near trams line. The cleaning from the breakfast was not okay. The staff just remove the most of the leftover from the table to the floor of on the sofa. The placemat was not removed or cleaned after people has left. The unused fork or knife was used again when people have left the table, that is not okay. Loved our stay at this hotel. Lovely clean room and bathroom. Friendly, helpful staff. Breakfast was very good. I had a lovely bedroom, nice comfortable bed with everything I needed. The staff were pleasant and very helpful. The breakfast was excellent . I had difficulty in finding a table on one occasion and when I went away to get more food, when I came back my place had been cleared and someone else was sitting there. This made me realise I must leave some food or a full cup of coffee or something on my table which is what I did and it worked. Very helpful staff. when I booked a cruise down the Danube.